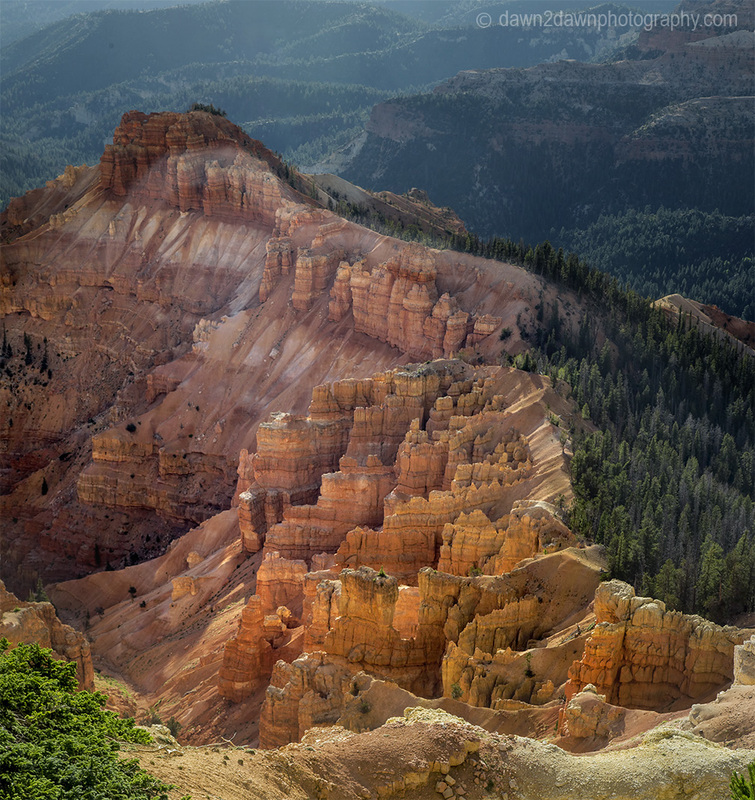 Cedar Breaks National Monument in Southern Utah is often called the mini-Bryce. 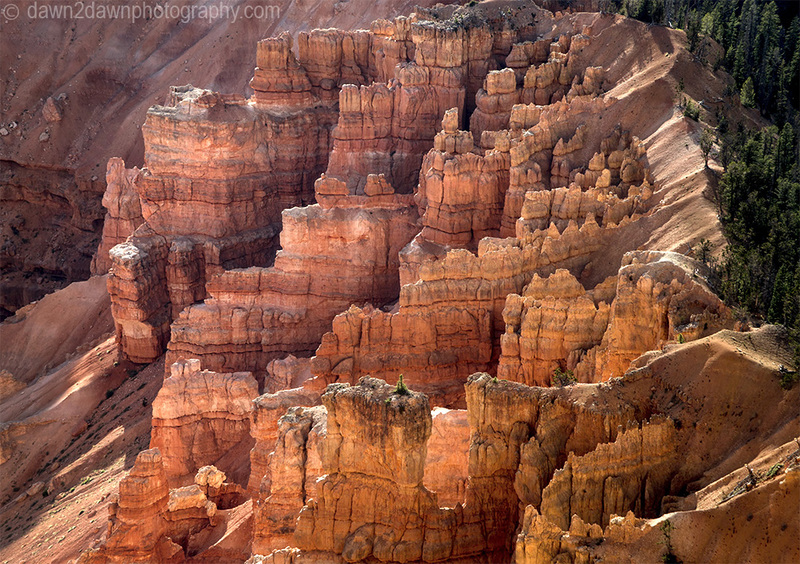 Similar to Bryce Canyon National Park but not quite as hoodooish(New Word). 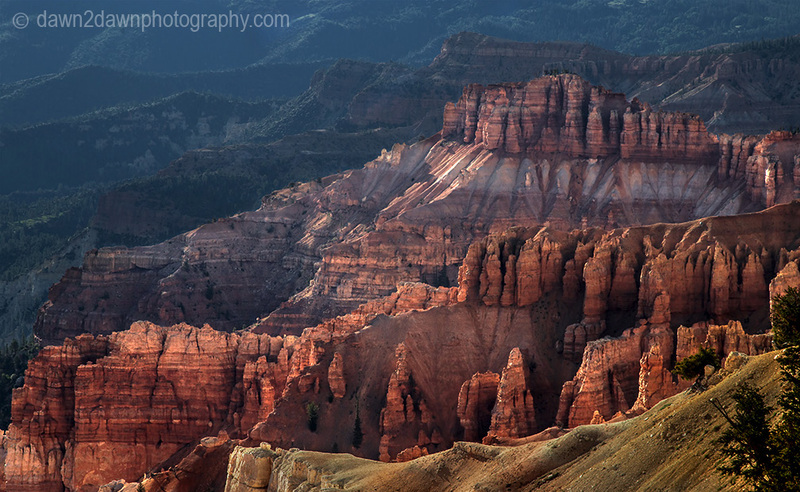 Beautiful layers of time, I love the red sandstone. In the first shot, it looks like a cluster of buildings, a ruin of an ancient city. Thanks Eliza.I was amazed how those sandstone shapes appear right away from the forest. 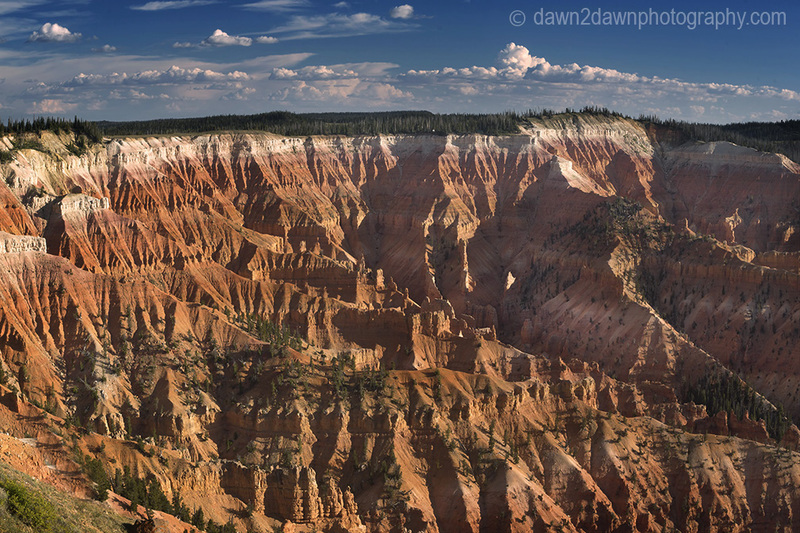 You are really going to like the wildflower shots I also got at Cedar Breaks, to follow soon. Captivating photos! 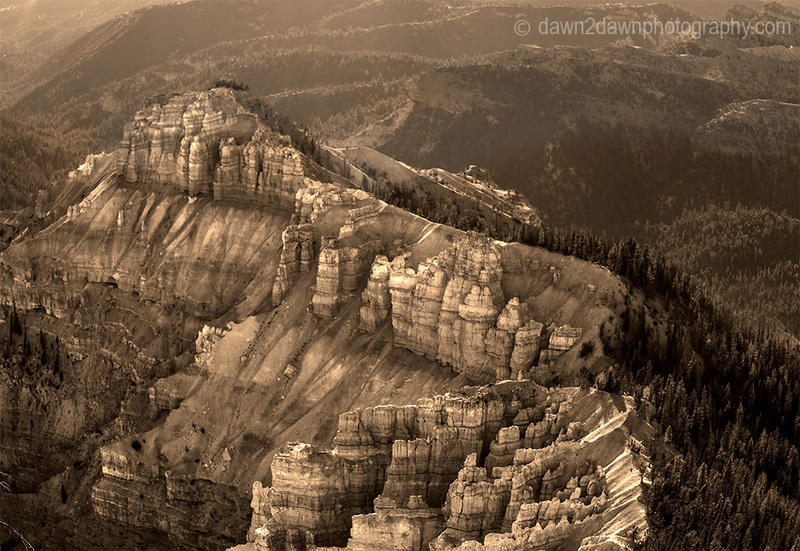 Cedar Breaks should be a national park. So beautiful. I’ll have to check that place out when I make it back to St. George. How far is it from SG? It’s about an hour and half drive from SG. 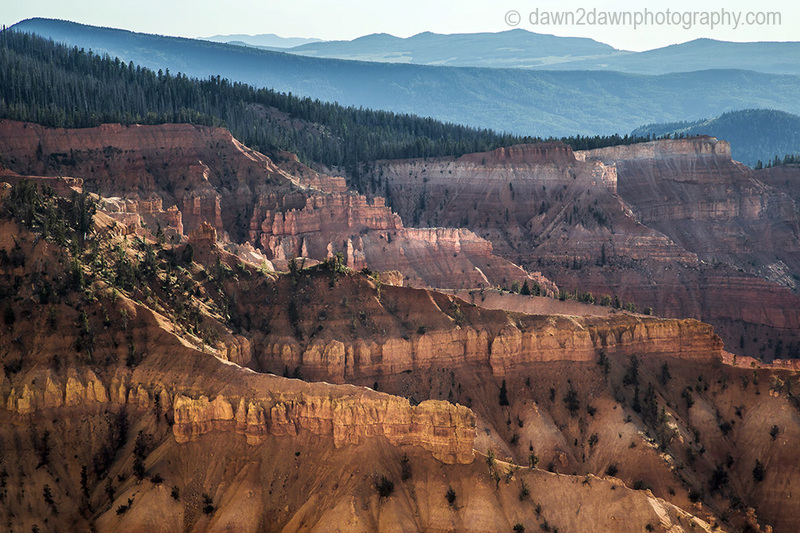 21 miles east of Cedar City! I like all the colors you captured with these shots. Thanks Amy! 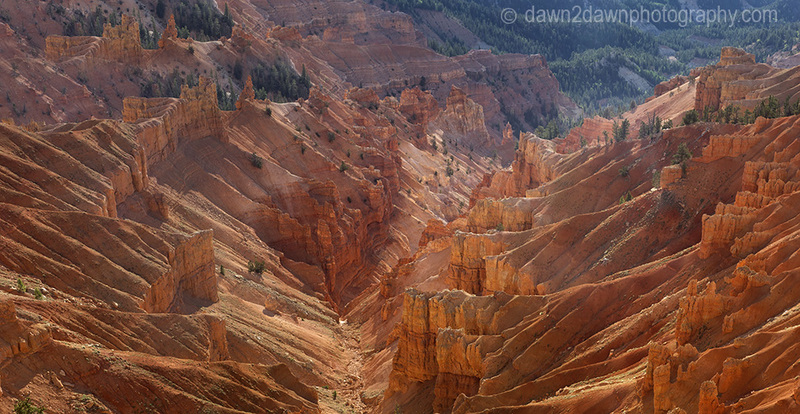 No, but the viewpoints were like the Grand Canyon, close to the edge with rails! 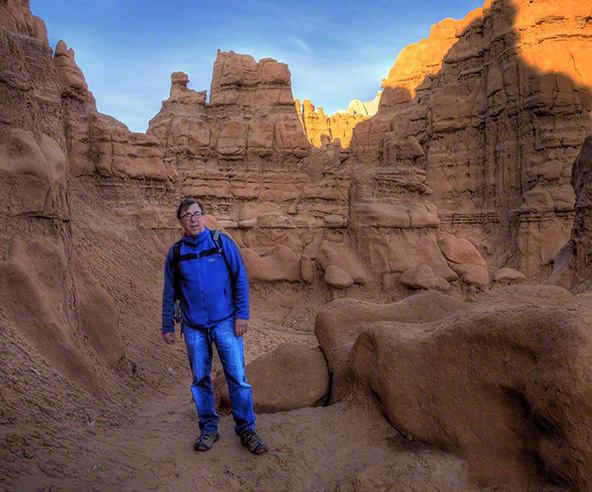 Michael, I haven’t been to any of these places and I enjoy seeing your beautiful photography of these areas so much. Hopefully one day I will see all this amazing scenery for myself. Maybe we should have a Word Press convention here. Glad you enjoyed. Now wouldn’t that be fun! Thank you for sharing your beautiful work. Today after a doggie photography session, I needed to look at some fantastic nature photography, you made my day.